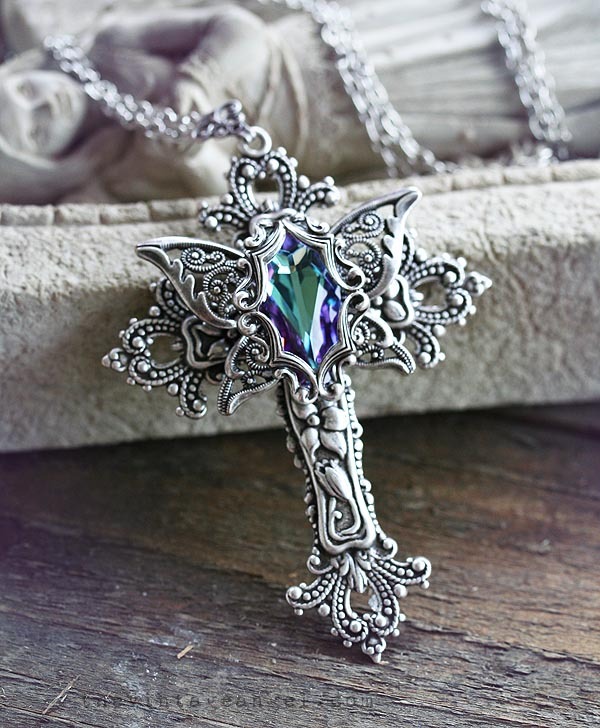 An ornate, Victorian inspired cross in aged silver (nearly 3" tall!) 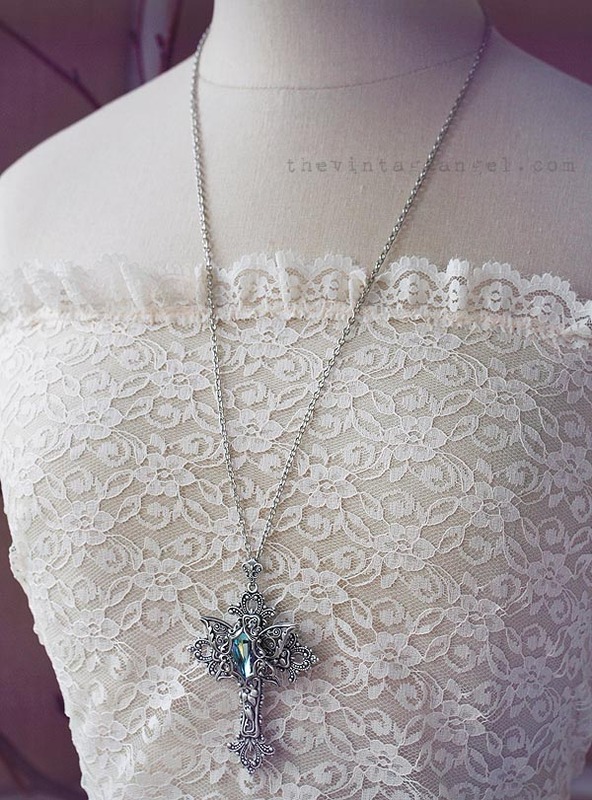 is layered with a detailed filigree butterfly with wings upturned. 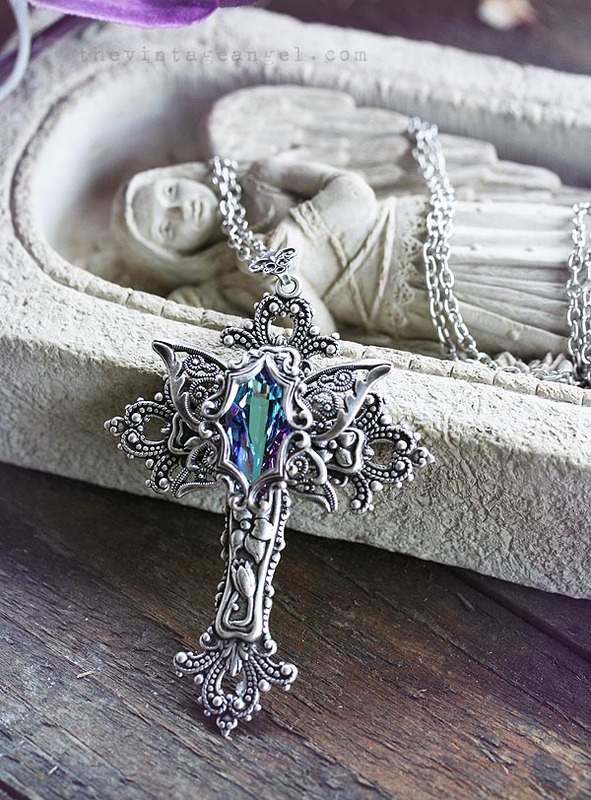 At the center of the butterfly is a sparkling Swarovski light vitrail crystal framed with a dainty framework stamping. Hung from a Victorian style bail on 28" long chain. If you prefer a shorter chain, just request your shorter length in the box at check out. Focal components and chain American-made brass with sterling silver plating. Lead and nickel free.